In modern times, when the web and mobile marketing has taken the world by storm, email marketing is still a potent tool to market one’s services. Companies around the world are in constant search of mass mailing solution that would cater to their needs. Here is a compilation of some of the best SendinBlue alternatives which possess many essential key traits. MailGet has been the preferred choice of many of the corporate houses across the world. Just three simple steps are all that is required to get started with MailGet. We begin with creating an email address which is followed by syncing of contacts and then connecting the required SMTP. Importing email can be done from CSV as well as from individual contacts. There are many packages that are on offer which is tailored to the need of the subscriber. The emails are sent using Amazon SES and various other SMTPs on the versatile cloud platform. Like Gmail and Yahoo MailGet that have a very sophisticated email builder feature, you will be able to send and receive emails in any format you want. The drag and drop feature makes it very easy to customize your emails. MailGet maintains your email account excellently. It will keep a full list of every email in your account and it will keep track of the exact date and time of your sent and received mails. MailGet blocks spam mails automatically. The email marketing service comes with various pricing packages which are absolutely economic. Also, by choosing its annual billing option, you can save upto 20% of total cost. Starters – This plan lets you send up to 5000 emails to the subscribers at just $5 a month. You can easily connect to 1 SMTP server & use it for your 10 monthly campaigns. Rookie – The second plan will cost you only $29 per month and lets you send emails to 25,000 subscribers. Also, you will get many advanced features like unlimited monthly campaigns, 3 SMTP connections, automatic follow-ups etc. 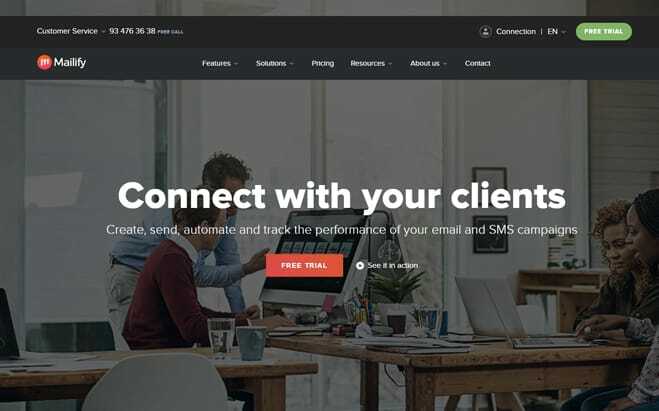 Pro – With the Pro plan, you can send emails to 50,000 subscribers in just $49 and get enriched with other enhanced features like unlimited SMTP connections, live chat support, SMTP routing and more. Advanced – The advanced plan has various sub-plans starting at $79 for sending 1,00,000 emails and highest plan with 1,000,000 subscribers at an affordable price of $672. MailGet Bolt can be termed as a one-stop solution for email marketers of different prospects. It has helped a lot in transmitting various kinds of emails like promotional, marketing, educational etc. with assured inbox delivery. Moreover, this email marketing platform comes with built-in SMTP with pre-configured settings. This implies you can instantly propagate your emails to the clients without having to manage any server setting. List cleaning is one of the most appreciated features of MailGet Bolt by mass. This feature will immensely help you have a clean & updated contact list from spam, suspended and bounce email addresses. 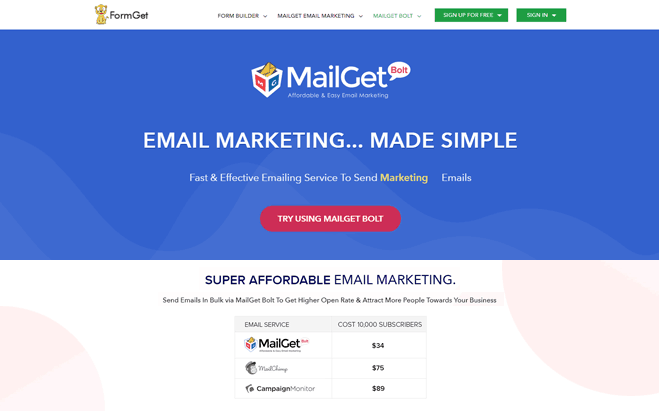 MailGet Bolt enables you to add a sign-up form on your website and eventually boost your email list. The drip automation provided by MailGet Bolt is the ultimate solution for automating the email series to your customers at a specific date & time. Get an insight of your email campaign by keeping a track on sent emails, click, open and unsubscribe details. MailGet Bolt provides numerous affordable pricing schemes. Also, by choosing its annual billing option, you can save upto 20% of total cost. Starters – With this plan, you can send up to 2,500 emails to the subscribers at just $9/month and get options like email builder, custom tags etc. Rookie – This plan will cost you only $19 per month sending emails to 5,000 subscribers with enhanced features and live chat support. Pro – The Pro plan enables you to send emails to 10,000 subscribers at an affordable price of just $34 with the additional benefit of automatic follow up option. Advanced – The advanced plan consists of other sub-plans with various important features. The starting package starts at $49 for sending 15000 emails and the highest plan will cost you $439 to send emails to 2,00,000 subscribers. Moosend uses innovative subscriber behavior analysis to activate automated workflow and trigger based action. Bifurcation of the contact list is important so as to categorize the right kind of campaign to the right customer. Moosend makes this job a lot easier with the list management system. There are numerous pricing options to choose from one should visit the website for further information. The dashboard provides detailed Pie charts and Bar graphs to have that great in-depth view of the real-time state of affairs. Not every Moosend user is a designer! Keeping that in mind they created a drag-n’-drop editor, with this you can easily design email campaigns, which will look gorgeous on every device. Sorting your email list will help you to speak more freely and directly with your customers, you will be able to provide them with information on time. Free Plan – You can send unlimited emails up to 1K subscribers for free which includes all the core features like real-time analytics, spam test, email marketing automation etc. Pay As You Go – This option is suitable for occasional senders where you have to pay only when you send emails. Note:- You can save up to 15% on 6-month billing & 20% on the yearly billing for your business. iContact offers great value with premier services that are on offer. These services allow subscribers with personal mailing experts to help them optimize the services in the best possible manner. This personalized service ensures that most of the emails reach the designated inbox. With iContact design services and the in-house design team ensures that all the marketing templates are eye-catching and responsive to provide that cutting edge experience to your marketing campaigns. The best part of all this is that the iContact pro comes with Social Media Consultants so that the marketing campaigns get all the buzz on the various social media websites. iContact deliverability services keep into account blacklists, domain reputation, and subscriber engagement to provide subscribers the right delivery of the emails. iContact assures that your emails definitely reach your contact in time, even if it had to overcome spam filters. iContact also provides data so that the concept of internet marketing becomes very clear to you. It will help you improve and increase the rate of your success. There are pricing options from $14 per month to the customized premier plan to suit your needs. The pricing is dependent on the number of subscribers that one chooses in their respective plans. iContact provides the best of pricing plans varies as per the contact list size to fit your email marketing goals. Essential – The price of this plan is just $14 a month for 500 contacts and provides you with numerous options like subscriber list management, Google Analytics, A/B split testing, welcome series automation etc. Professional – This advanced plan will cost you only $99 per month for 500 contacts & benefits you with features like social monitoring, Zapier integration, behavioral targeting, landing pages and a lot more. Note:- Get in touch with the sales team to know the pricing schemes of higher premier services. However, the annual billing will provide you with a 15% discount for 12 months pre-pay. 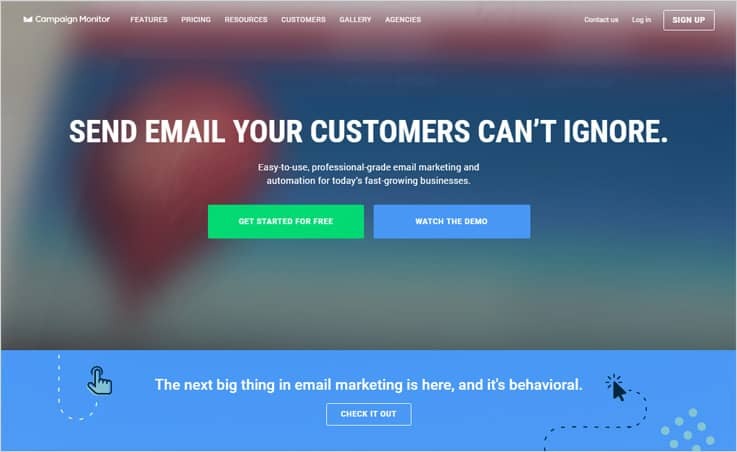 Mailify is an automated email marketing and SMS software. Mailify features a modern graphical editor, EmailBuilder, and responsive customizable templates for newsletter design. The application features intelligent functionalities and an optimized UX. Graphic editor with “drag&drop” system to design responsive newsletters. With the graphical editor and its more than 70 customizable responsive templates, you can design newsletters intuitively. Automated email and SMS campaign sequences: create welcome emails, birthday or update emails, etc. Automate your mailings and send the right message at the right time. Import unlimited contacts. Mailify sets no limits on the number of contacts you can import. You can also manage blacklists, bounced lists, etc. Intelligent features like – Predictive Sending, to calculate the optimal send time for each contact individually. Heatmap, visualize the hottest and coldest areas of your email and have a look at the most clicked links. Interval sending, sending campaigns in stages instead of to your whole list at once, etc. Specialized coaching and technical support in Spanish, English, German, French, and Portuguese. Whether you are starting with emailing strategies or if you need to optimize campaigns with advanced automation, you can schedule a coaching consultancy by phone or email and solve all your doubts. Essential – The Essential plan starts with $59/month and 5000 emails. With this plan, you can send automated email marketing campaigns and mass SMS and enjoy all the basic features of Mailify. Premium – This second plan starts with $129/month and 5000 emails, what is the difference with the Essential plan? With this plan, you can do advanced automated campaigns like landing pages, pop-up forms and access the Mailify experts. The subscription includes dedicated IP and a domain name among other advantages. Exclusive – The third and most complete plan starts at $229/month. This plan gives you access to all of Mailify’s artificial intelligence (AI) features. You’ll also have a dedicated coach for your campaigns. This plan includes 3 specific IPs, 3 domain names and the use of up to 10 users. Note:- In any of the plans, you have the option to buy additional SMS packages and emails. 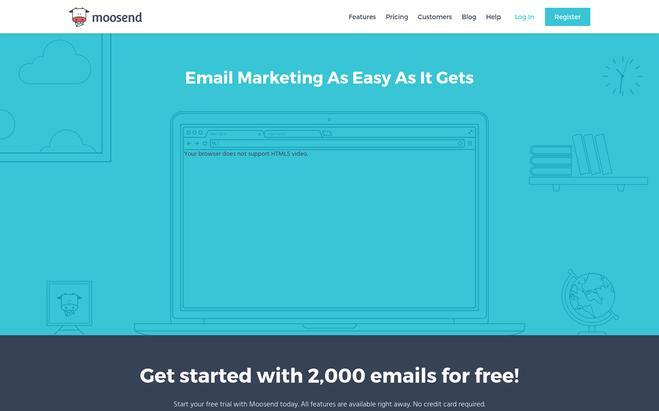 Constant Contact is the new SendinBlue competitor that is on offer and has created quite a buzz in this email marketing eco-system. Constant Contact provides responsive templates that are just perfect to open on multiple devices like tablets as well as various mobile platforms enabling businesses to deliver a wholesome marketing experience. It helps you connect with your customers through emails. There are hundreds of beautiful email templates and with the help of drag and drop feature, you can send a gorgeous email to your customers. The innovative dashboard is something unique that is on offer with Constant Contact. This provides a detailed tracking system for all your email marketing campaign. The core elements of your marketing are your contacts. Their new and improved contact management system will help you to import, organize and store all your contacts. If you do not know what is going on, you cannot improve yourself. The amazing delivery system of Constant Contact will make your emails reach your customers timely without fail; with the real-time email tracking system you can check everything. There are various pricing options to choose from with a free 60-day trial pack to $45 plan that packs in the all the features to provide that great experience. You can use any of the 2 amazing pricing schemes offered by Constant Contact which are absolutely economic as you can send unlimited emails. Email – This plan starts from $20 a month for 1 user and offers many features like 1 GB file storage, list segmentation, list building tools etc. 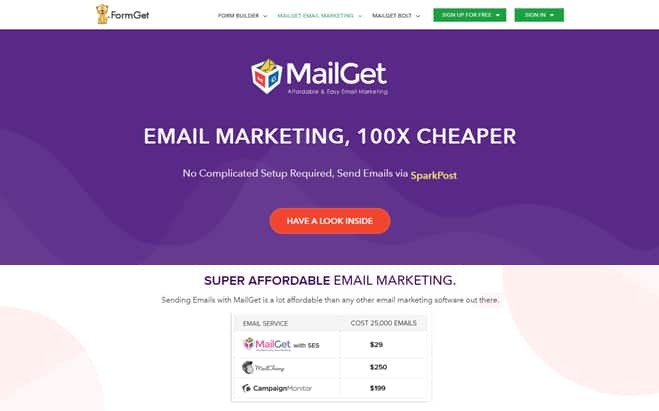 Email Plus – Buy this plan at the starting price of $45 a month and avail enhanced features like email automation, subject line A/B testing, event marketing, coupons and a lot more. Note:- You can save up to 15% on prepaying 6 or 12 months. 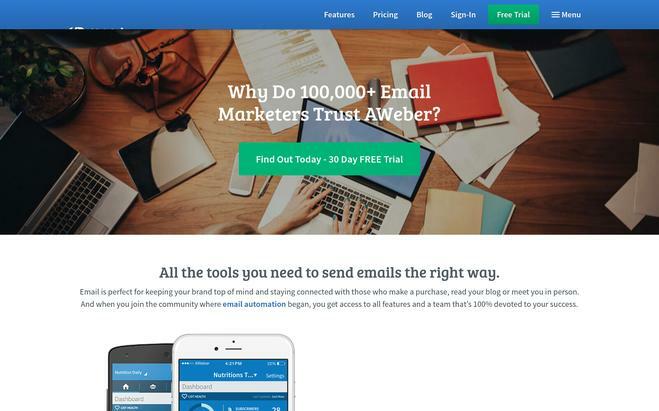 AWeber is a trusted mass email marketing tool that is trusted by more than 100000+ business owners across the globe. There are features like integration with APIs of premium websites right from social media sites like Facebook to premium payment gateway like PayPal. Connecting your mail with RSS feed is no more a problem with AWeber and so will be your blogs. AWeber has an excellent email delivery system which helps your emails to reach your subscribers in time. It also has top class filter checking tools with anti-spam policy. The autoresponder feature of AWeber sends a series of emails to the new subscribers. It interacts with new subscribers as soon as they join. It is very easy to develop great looking templates as AWeber contains more than 700 templates. You can add your AWeber account to other websites to get more subscribers, like Facebook, WordPress, and Paypal etc. Atom App is another value-added feature that helps subscriber to add contacts on the go and is adaptable to both Android and IOS. For up to 500 subscribers – Pay $19/month and send unlimited emails along with various basic features. For up to 5,000 subscribers – Buy this plan for just $49 a month and get benefited with features like automation, segmenting and a lot more. For up to 10,000 subscribers – Avail this plan with options like image hosting, customer solutions, sign-up forms etc. in just $69 a month. For up to 25,000 subscribers – Use 700+ templates, integrations, automation, segmenting and more in just $149 a month. 1. Get in touch with the sales team to get the price estimation of higher plans. Also, you can choose quarterly and annual billing option. 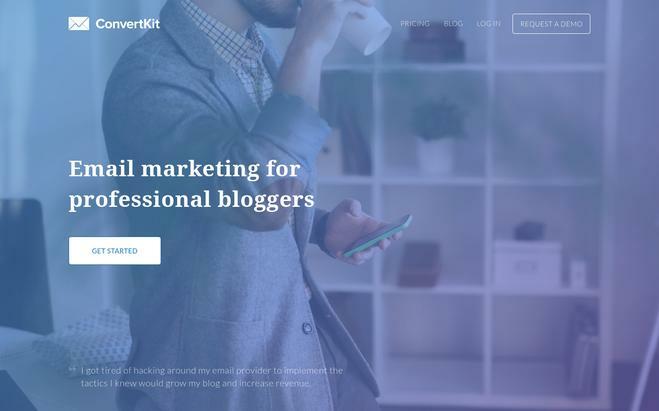 ConvertKit is email marketing software specially designed for bloggers. ConvertKit offers customized opt-in forms to fit in places of your desired choice making the visibility a lot more. ConvertKit helps to create a landing page in accordance with the choice of the subscriber; there are three options for one to choose from. Scheduling your emails is no longer difficult; this would allow bloggers more time to concentrate on creating quality blog contents. ConvertKit makes scheduling your emails very easy. This will give you free space for your other important endeavors. ConvertKit has a brand new editor; it helps you to customize the text and the color of your email, according to the nature of the mail. The visual editor helps to customize text and color according to the nature of the blog. There is also a scope to make changes with the addition of custom CSS coding and also an eager the help desk to assist if any subscriber faces any problem. During the editing process, you can use a WordPress plug-in and when you are about to post the blog you can choose the form you would like to use. ConvertKit comes offers 4 pricing schemes which you can choose according to the number of subscribers you want to send emails. For up to 1K subscribers – Spend only $29/month and avail all the basic features for your campaign like sending unlimited emails, campaign reports & more. For up to 3K subscribers – Get this plan for $49 per month for availing features like unlimited customizable forms, email & live chat support etc. For up to 5K subscribers – Buy this plan at just $79 a month and get benefited with features like 70+ integrations, visual automation and a lot more. For up to 8K subscribers – You just need to spend $99 per month for availing even more advanced option of free concierge migration which is helpful while switching email marketing tool. Note:- The above pricing plans are based on monthly basis. However, you can save more on choosing its yearly billed pricing. MailChimp has been the preferred choice of 12 million customers around the world. The main feature that subscribers prefer is the seamless integration with various APIs and web services. MailChimp is compatible with major e-commerce platforms like Woocommerce, Bigcommerce, Magento, and Shopify. This might very well be the preferred choice for subscribers who owns or manages e-commerce websites. 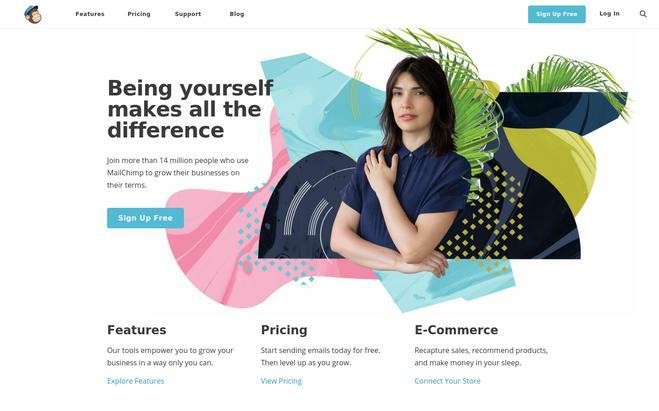 MailChimp helps you to get connected with your store and when you do that through one of MailChimp’s many e-commerce websites you will be able to create targeted campaigns. The drag and drop feature of MailChimp will provide you all the help to make designer campaigns, according to your liking. MailChimp’s excellent marketing automation will send your email to the right people at the exact time. MailChimp also has an excellent mobile app which will help you to add a contact or send a campaign easily. There are plans that are free and also plans that would cost upto $199 per month. Subscribers should choose the one that is best suited for their business requirement. Free – Use this plan to send 12,000 emails/month to 2000 subscribers at $0. It will benefit you with various other options like multi-user account, marketing automation, creation of campaigns, landing pages, popup forms and more. Grow – Once you choose to upgrade your plan, you can select this plan with the starting range of $10 per month for unlimited emails & subscribers. With this plan, you will get other enhanced options like footer removal option, email/chat support, time zone delivery, send time optimization etc. Pro – Get this plan for enterprise businesses starting with $199 a month for unlimited emails and subscribers along with features like premium support, testing, advanced segmentation, comparative reports and a lot more. Mad Mimi is a modern yet powerful email marketing tool that has unique User Interface (UI) making navigation through this tool very easy. The unique theme designing approach makes the subscriber pick the exact design and contents that he or she requires for the email marketing campaign. The tracking device helps to track every link clicked, promotional activities that are followed and also unsubscribed details. The tracking dashboard provides innovative pie-charts for better analysis of the marketing campaign. With Mad Mimi comes excellent looking HTML emails; the Mad Mimi guide will help you to design most beautiful and creative emails. The Mad Mimi web-forms are one of its kinds that allow users to simply copy-paste HTML pages anywhere within the website. 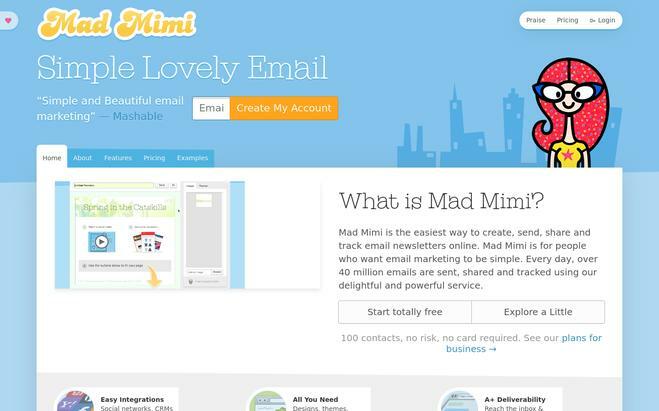 Mad Mimi will guide you in creating emails which look impeccable in any email environment. You can use themes and modules easily and you will be able to send a wonderful email in minutes. It will reflect your commitment and dedication to your customers. Integration with various APIs is quite easy, be it CRMs or social networking websites so as to keep the customer updated on all the latest campaigns. While designing new themes, if you have created a masterpiece you can save it to use later. Mad Mimi is designed to fulfill your needs. 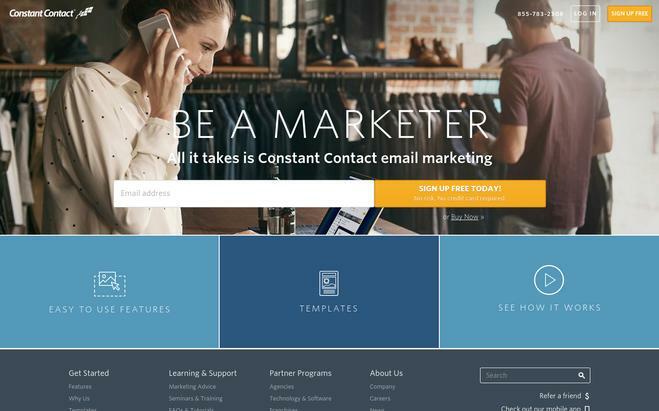 Basic – The starting range will cost you only $10/month for sending emails to 500 contacts. Pro – Its second plan has initial pricing of $42 a month that enables you to send emails to 10,000 contacts. Silver – This advanced plan starts with $199 per month for sending emails to 50,000 contacts. Gold – With the initial pricing plan of $1049 a month, you can use this plan for targeting 3,50,000 contacts. Note:- Besides these predefined packages, Mad Mimi also allows you to customize a plan completely just the way you want. Campaign Monitor has been the choice of many multi-national companies to run their e-mail marketing campaign. The drag and drop editor is also a feature of this application as many others. Testing, tracking, and optimization of email are also made easy with Campaign Monitor. There are packages starting from as less as $9 range to $899 per month depending upon the volume of email and the features that one opts for. Campaign Monitor will provide you with everything you need so you can run a professional and gorgeously designed email marketing campaign. There are over a hundred different templates to choose from and all of them are responsive and eye-catching. Customer data is analyzed precisely to provide that edge over every campaign and enhance the personalized experience. You can connect Campaign Monitor with many different apps and integrations easily; you can connect it to an e-commerce platform, CRM or a website. It can be connected with WordPress, Facebook, Shopify, and Woocommerce etc. Basic – The starting package of this plan starts with $9 a month where you can send 2,500 emails and avail all the core email marketing features. Unlimited – Its second plan starts with $29/month where you can send unlimited emails and amazing features like unlimited spam testing, inbox preview etc. Premier – The third plan offers the starting price of $149 per month for sending unlimited emails along with various advanced features like advanced link tracking, template management, send-time optimization and more. Emma is an email marketing platform that helps business houses to choose an edition that is apt for their business. Emma integrates with Google Analytics with ease making scope for complex web analytics quite simple. Apart from the standard edition, there is Emma Agency edition, Emma non-profit edition, Emma University edition and Emma franchise edition as well. 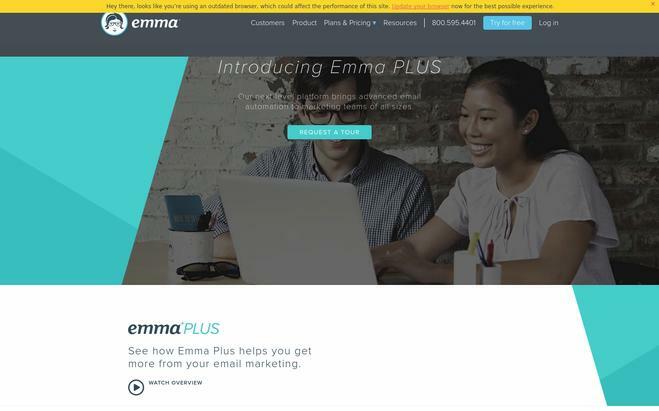 Emma is designed with advanced automation which means the right email will reach the customer in right time. Emma scans everything from your visit to the website to your fresh purchases; Emma converts this data into automated emails which are relevant and on time. Some of the features that make Emma stand out are the seamless integration with various CRM and ERP software like MS Dynamics, Oracle, and Salesforce CRM. Integration with e-commerce software is easy as well with WooCommerce and Magento to name a few. Emma has a lightbox form. It will help you choose the time to ask the email address; you are free to decide when and where you want them to display. After that, you can build your audience. There are various pricing options to choose from the Pro plan starts at $89, the plus plan at $369 and the premium plan at $779. These are all annual subscription plans. Pro – This plan is most suitable for small businesses that cost you only $89/month and options like list importing, segmentation tools, lightbox sign up forms etc. Plus – You can purchase this plan at $159 a month and avail features like landing page builder, salesforce integration, litmus inbox preview and more. Emma HQ – This advanced plan is available at $229/month and provides you with even more enhanced features like an activity dashboard, template manager, account & user permission etc. These are just 10 alternatives to SendinBlue available in the market. There are numerous others to choose from. Before jumping on to any conclusion one must take note of the exact requirement, the nature of the campaign, the volume of business and the budget allocated for the email marketing campaign.